Acupuncture and Traditional Chinese Medicine (TCM) are a millenia-old patient-focused approach to health and well-being. Acupuncture itself if the insertion of very fine (cat-whisker fine), sterile, single-use needles into points on the body along meridians. Needle insertion and stimulation serves to balance, unblock, and stimulate the flow of qi, which is the sum of the body’s vital functions. When qi is blocked or inadequate, pain, weakness, and illness occurs. Acupuncture can treat many conditions, including, but not limited to: arthritis, back pain, neck pain, carpal tunnel syndrome, stress, anxiety, addiction, digestive issues, infertility, headaches, allergies, menstrual issues, pre-menopausal symptoms, menopausal symptoms, cold/flu, and so many more! Cupping and Herbal consultations available upon request at appointment for an additional fee. Ask Carrie during your time of service or email carrie.sesterhenn@gmail.com prior to your arrival. An Akashic Records reading is like exploring a library where every book is about you. What do you want to know about? You can ask about your relationships; you can ask about your career; you can ask about anything within your soul’s journey, including past lives, creative projects, and even future possibilities for you! In the Records and in truth, you are a divinely perfect being. A Records reading allows you to see yourself in this light and take steps towards living the life you truly want. Let’s enter your soul’s library, crack open some books, and have an eye-opening adventure! Take a deeper look into the “owner’s manual” of the soul that is your star chart. Natal or Birth Chart readings are a snapshot of the cosmic energy that was occurring at the exact moment of your birth. The alignment of the stars and planets create an energetic “fingerprint” that is unique to each individual person and shapes the very being of our lives. Find out about the deeper desires of your soul, relationship and career direction points, as well as roadblocks and karma that were brought into this life. Clairvoyant Readings are geared towards validating your highest truth while accessing divine possibility through the synergistic exchange of the reading process. All of us radiate beauty and truth in Spirit, but often times there are many obstacles which stand in the way of our ability to shine at our full potential here on this Earth, within our current reality projections. What gets in the way? Karmic baggage? Ancestral conditioning? Unhealed wounds and traumas from this current incarnation? 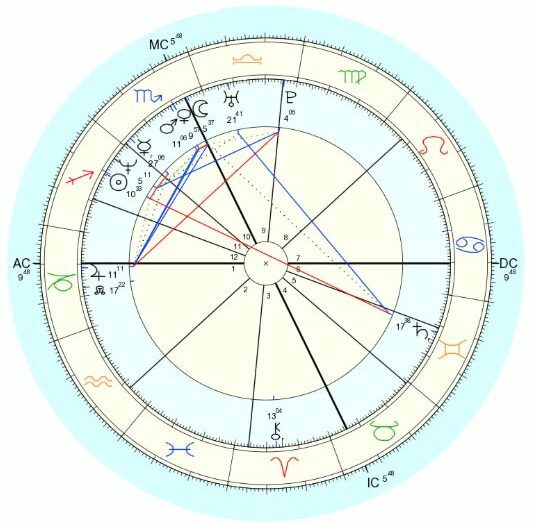 Past life bindings and agreements? How do these limitations play out in our daily lives, and more importantly, how can we surmount these obstacles & limitations in order to integrate more of our true selves into our daily existence? These are all questions which can be explored throughout the journey of a Clairvoyant Reading- a place free from the constraints of space & linear time wherein the reader & the reader transform energy so as to catalyze positive change & spiritual growth. This synergistic transformation of energy results in increased levels of access to the beauty, truth and freedom which are inherent in Spirit, giving us greater levels of permission for this unique beauty & possibility to be catalyzed in the more practical aspects of our daily lives. This hands on technique draws out impurities on a physical level, while it charges and balances the aura. The healer takes in Earth energy through the feet, then channels it to the client in progressive steps, moving up the body. Helpful for those who need a chakra tune up, who experience muscle tightness, and in extreme cases, for those who have undergone chemotherapy. Replenish and balance the mind and body with a combination treatment of vibrational sound therapy and Chelation. The tones of Tibetan singing bowls will vibrate and release on a cellular level, while the Chelation will then help clear and balance the auric field. The session will include rest time to integrate and process your experience. Focused primarily on the concept of “primary respiration” and regulating the flow of cerebrospinal fluid by using therapeutic touch to manipulate the small bones of the cranium. Session could include light touches to a patient’s skull, face, spine and pelvis. Applying these gentle techniques to safely support and boost your self regenerating abilities allowing the body to release tension, stress and trauma on physical and emotional levels. Freedom Healing is a system of practical spirituality. Through sessions and activations, we eliminate limitations that block us from reconnecting with what we really are: spiritual beings living a human experience. In these sessions the practitioner is channeling information of your soul’s purpose to assist in transmuting the “road blocks” and traumatic experiences that may exist. This helps you sort out a reconstructed vision of yourself. You may also visit a deeper meaning of the relationship with your parents, siblings and partners to work with or to end the cycles of the inner child experience- connections which can be key points to your happiness and accessing your unlimited potential. From a place of clarity and connection we open ourselves up to a life of happiness, abundance and freedom. Release, relax and restore with the serene healing soundscapes of multiple gongs. Gong Resonance Therapy sessions are great for those who love a good massage, but don’t like to be touched; for those that need release, but don’t want to talk about their problems. The vibration of the gong is one of the only known instruments that has the power to penetrate our nervous system, invoking shifts in consciousness, and allowing blockages to be cleared on both physical and emotional levels. In these sessions, you won’t just hear the gong, you’ll feel it, as it effortlessly guides you into a meditative state of calm. Think of it as sonic purification of the subconscious mind, or just a deeply relaxing time to come back into a state of peace. Gong Therapy Sessions start with Yoga Nidra (Yogic Sleep), bringing awareness to the breath and body in order to open you up to a place of receiving. No experience necessary. All that’s needed is an open heart. Your Fascia is a tough connective tissue, which spreads throughout the body in a three-dimensional web from head to foot without interruption. Myofascial Release is a safe and VERY effective hands-on technique that involves applying gentle sustained pressure into Myofascial connective tissue restrictions to relieve chronic pain and restore range of motion. This gentle but powerful treatment that can clear blockages and restore the body’s energy flow. Through the application of Reiki Energy (connecting to the divine source) we promote self healing and lasting change toward your natural state of well-being and vitality. Therapist will use light touch and hover hands to balance the energy centers of the body. Induce a meditative mind and spirit, and promote deep relaxation to the body through this well known ancient technique. 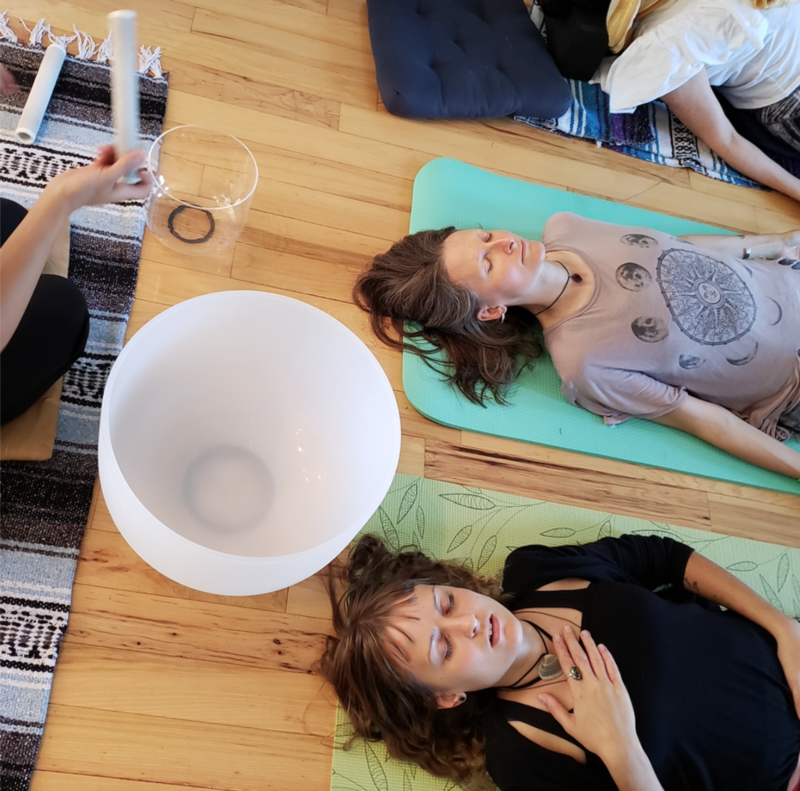 During a session, therapeutic grade singing bowls are placed directly on the body and struck, releasing powerful sound vibrations. As the body is made up of 80 percent water, it is easy to imagine how the vibrations can penetrate deeply into the muscles and tissues, and on a cellular level. The relaxation reflex is engaged, slowing down respiratory and heart rate, lowering blood pressure, and gently reducing chronic pain. The long resonant harmonic tones instantly calms the mind into an alpha or theta brainwave state through entrainment. These frequencies are known to access the subconscious, bring about deep insight, creativity, and spiritual awareness. Quartz crystal has the ability to interact and align with the body’s very own crystalline properties. From the bones, connective tissue, blood, and DNA, these intricate structures are crystalline in nature, receiving and transmitting electrical currents throughout the body. The pure tones of the crystal bowls encourage cellular harmony, facilitating a healing response within the body. While clearing and balancing the human energy field, the high frequency vibrations will create a more optimistic state of mind and wellbeing. Meditation can be done lying down or sitting up. Feel more at ease as you tap into your inner wisdom and come into true clarity. Whether you need help to “read the writing on the wall” or are presented options you may have not realized in the past. This process will bring peace and a much needed deeper understanding of the reality of your situation. Enrich your life with the valuable information that is there for you, by creating a clear channel with your higher self, bring clarity into situations big and small on all aspects of your life. The cards never lie! Use their advice to help you make informed decisions. Discover what waits for you in your path, were your journey is heading and what tendencies you may encounter. Life is here for you to enjoy every minute of it, begin your journey to self-knowledge; only you can create and guide your own stress-free destiny. A tarot consultation shows you the previews of a movie, your movie. You are the main character, writer, producer and director. Your own piece of art in action! Let Laura peak at your plans, and reveal the energy, momentum and possibilities around you have in mind. Tarot can confirm that your are setting the correct intentions and if your focus is in all the right places. Use it to help lay out a rough draft or the final blueprint of your dreams. Thai Bodywork is a system of assisted stretching. During the course of your session, Your therapist will position you in a variety of yoga-like positions, deep static and rhythmic pressures form the core of the massage leaving the body energized and rejuvenated. Thai Bodywork is a system of assisted stretching. During the course of your session, Your therapist will position you in a variety of yoga-like positions, deep static and rhythmic pressures form the core of the massage leaving the body energized and rejuvenated. What to expect: The session is performed on a mat on the floor. No oils are used. Please dress in comfortable clothes that allow for movement. Combines Trigger Point release with Thai Bodywork. It alleviates specific pain in the body. Some pain conditions can be resolved after just an hour of work. Enjoy a self care healing package tailored to your needs! Private Qi Gong, Sound therapy, and Brain Balancing energy work are incorporated to reset and expand your awareness, physically, mentally, and spiritually. In the first half of your session, you will learn self healing tools to address your particular needs and concerns, so that you have your own personal at home practice. Then, lay back and relax while you receive a vibrational sound therapy treatment with Tibetan singing bowls, followed by brain balancing energy work. You are sure to leave feeling empowered and nourished.